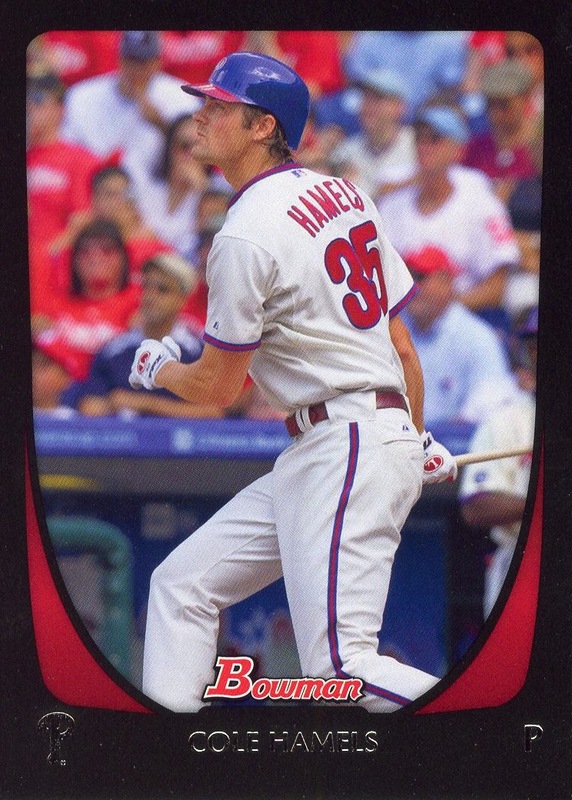 Finally, last night, almost by accident, I found out that Topps also printed a Black Border partial parallel for this year’s Heritage set. 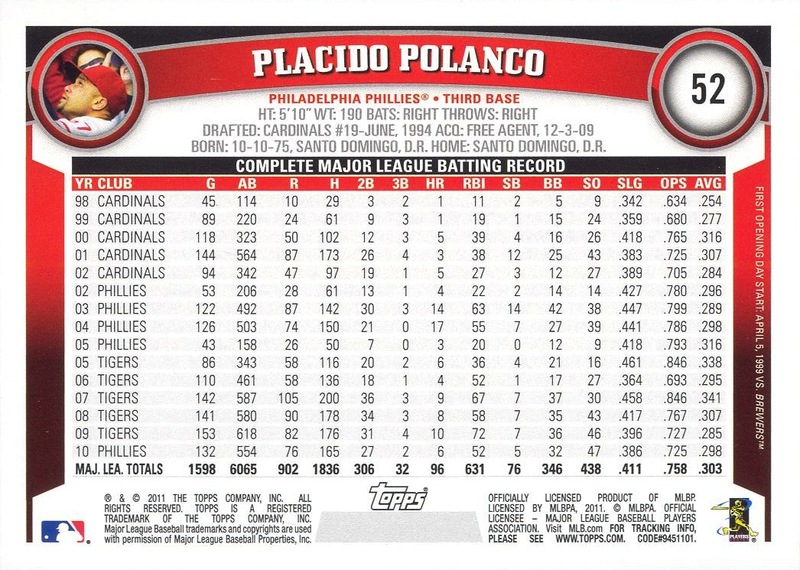 I know a few paragraphs back I implied that Beckett cannot be 100% trusted, but when I initially put together the 2012 Topps Heritage checklists, I found no mention in their online price guide of plain/non-chrome Black Border parallels. 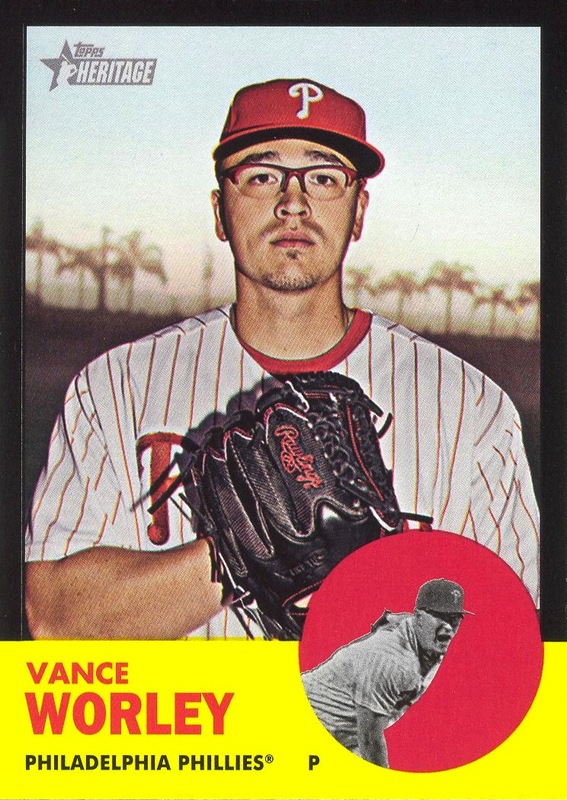 However, last night at Target, I found that Topps produced blister packs containing three packs of Topps Heritage along with “3 Exclusive Black-Bordered Parallel Cards.” Against my normally better judgement, I purchased one and got lucky — the Worley card you see to the right. 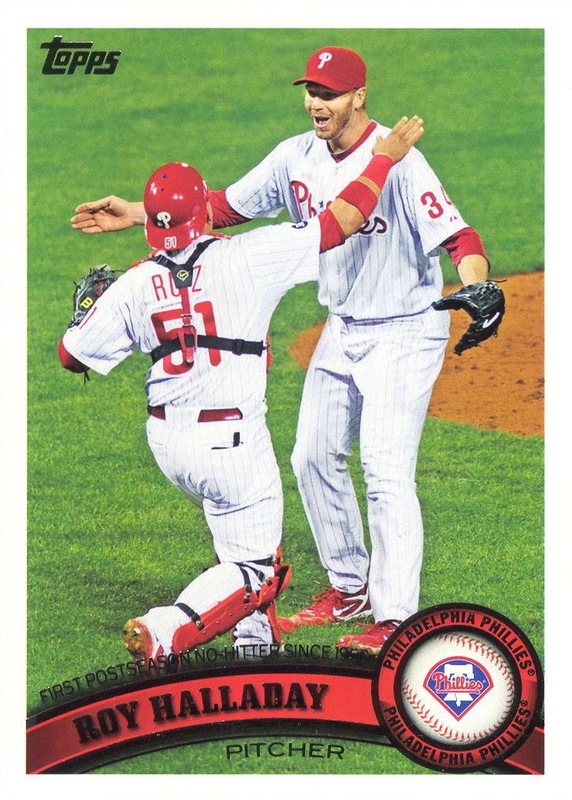 The 2012 Topps Heritage checklist will be updated accordingly tomorrow. 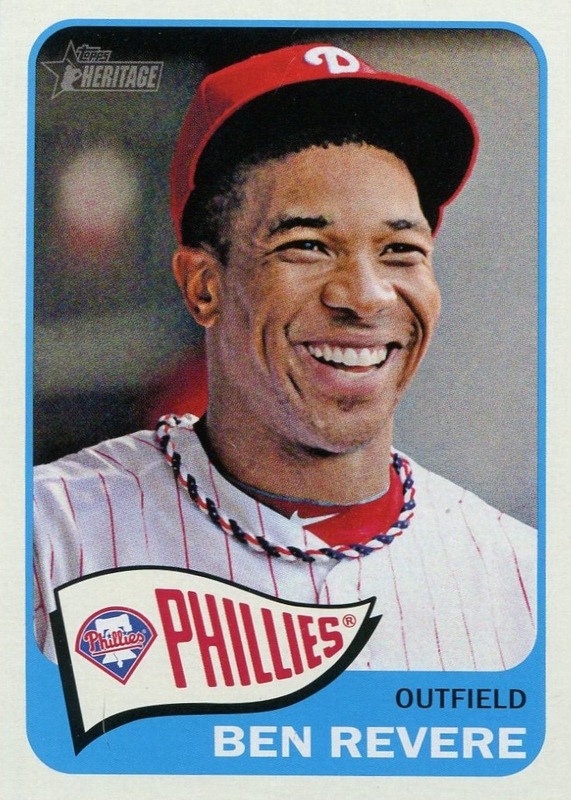 In the meantime, I have already searched through Topps’s marketing material for the set, and I am unable to find any mention of them. 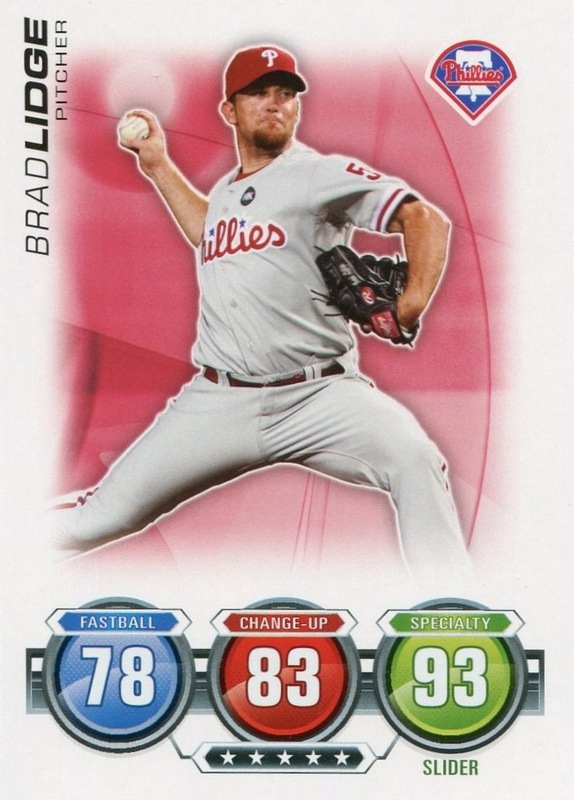 I don’t know what the story is, but Topps’s fickleness and disregard for keeping collectors well-informed about their product is just another in the long list of reasons why I desperately wish MLB would grant another license to any of the other sports card producers — even Upper Deck. But… Where Did the Swatches Come From? 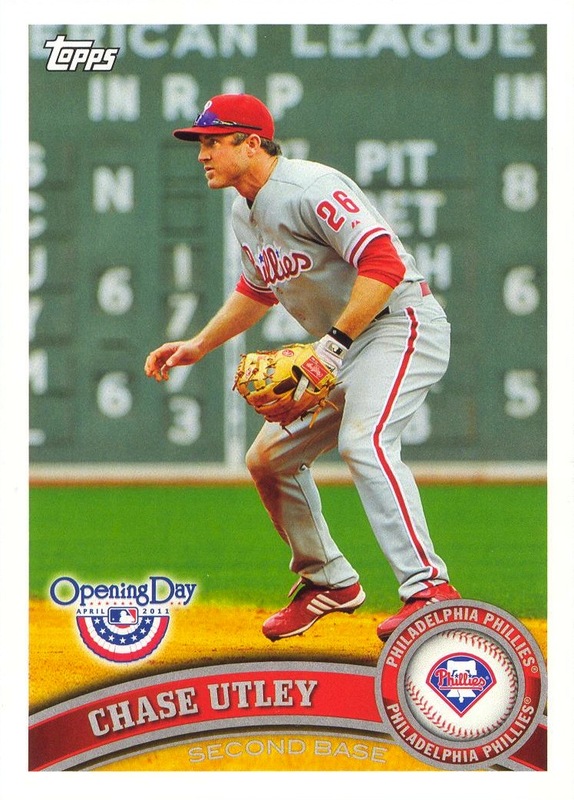 I know that I’m more than a few weeks late in getting around to this particular post, but I just didn’t want to let the Phillies’ decision to decline Brad Lidge’s and Roy Oswalt’s option years and allow them to become free agents go without some mention of their impact on me as a collector. 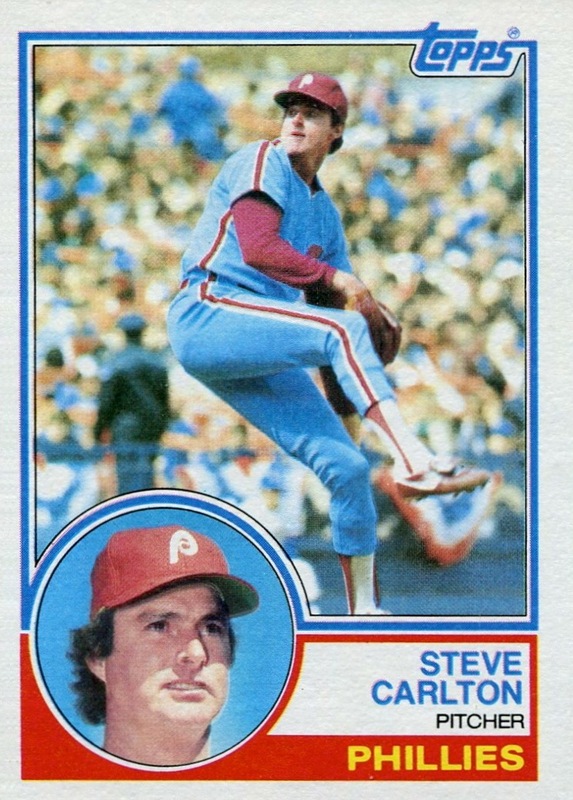 Surprisingly, as far as collecting Phillies baseball cards goes, their impact has been minimal. 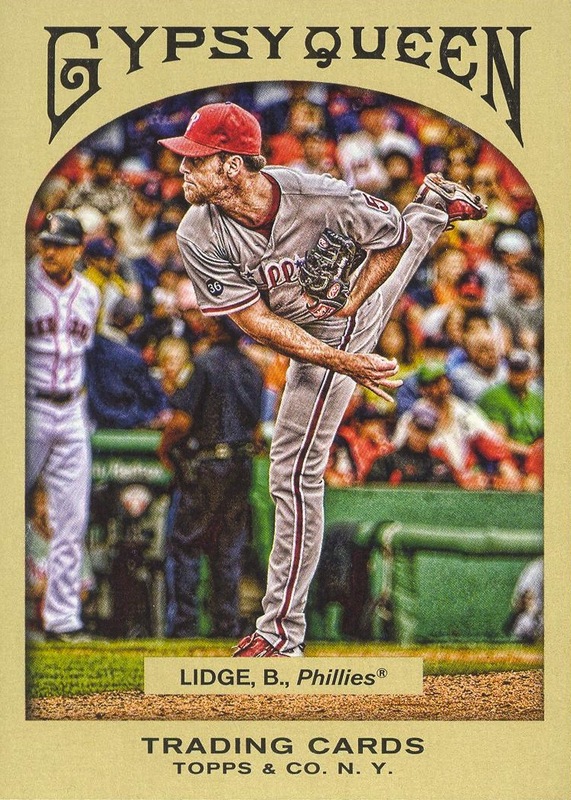 You’d think that Lidge’s historic 2008 season would have caused some sort of glut of memorabilia and/or autograph cards. Nothing of the sort really occurred. 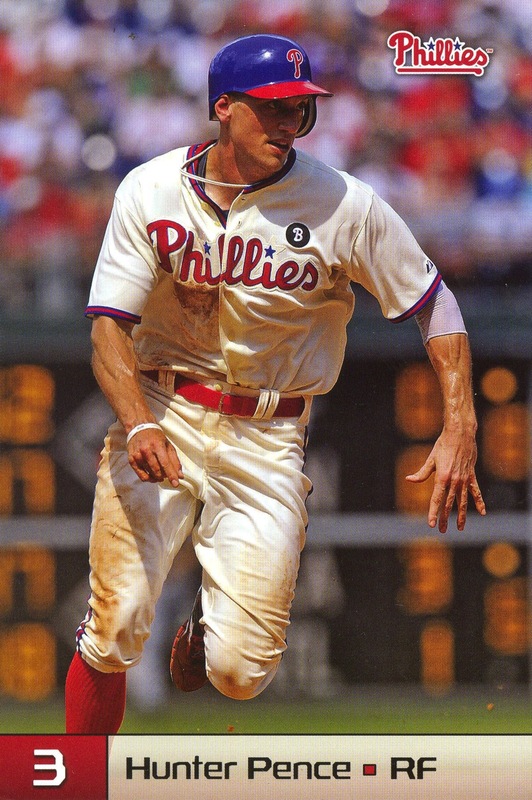 Topps only issued a few jersey cards, and given Topps’s reticence over the past few years to state when a jersey was worn or a bat was used — the back of each card states “The relic on this card is not from any specific game, event or season” — we can’t even be sure that those grey road jersey swatches are actually from a Phillies jersey and not an Astros jersey. 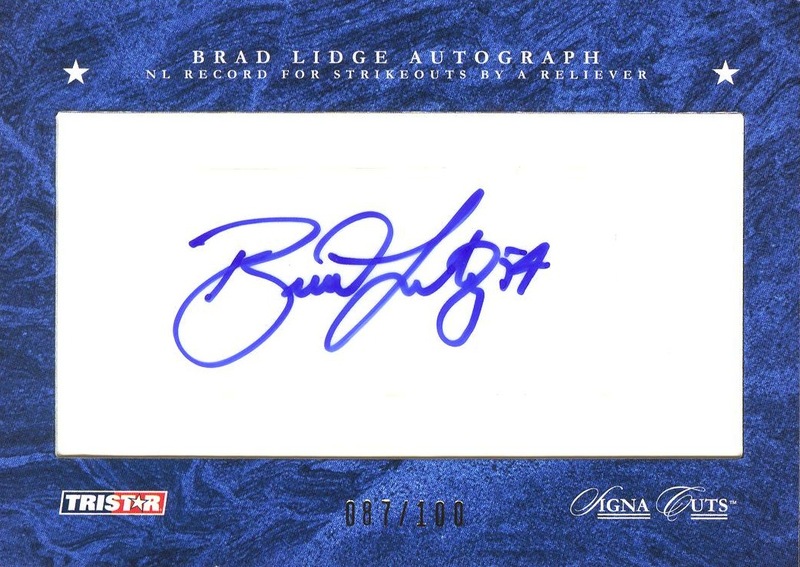 More amazingly, neither Topps or Upper Deck ever issued an certified autograph card of Lidge depicting him in a Phillies uniform. 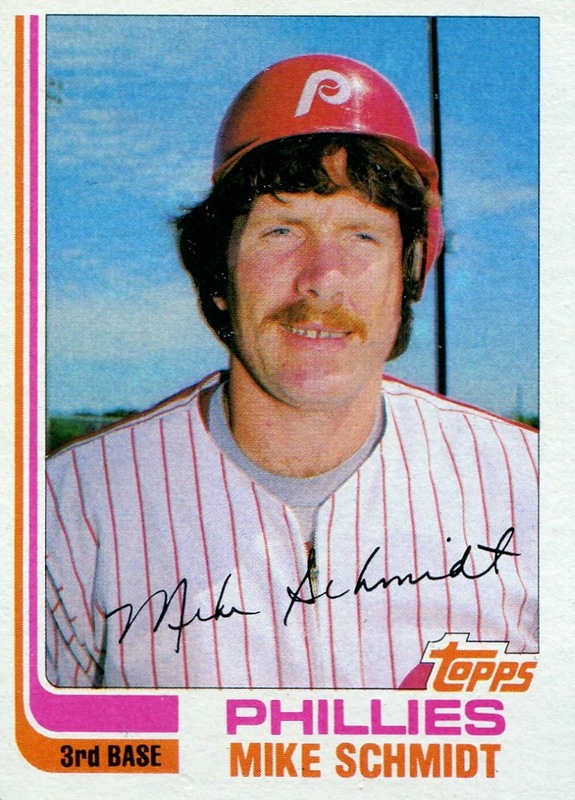 Yes, there are plenty of certified autograph cards out there from his days with the Astros, but if you’re like me, you have no interest in them. 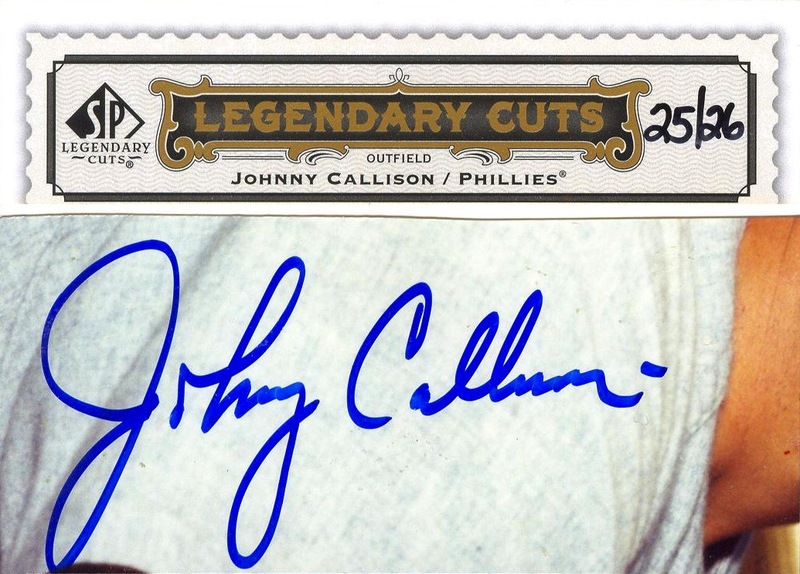 At the moment, it looks like the only way I’m getting such an autograph is either in person at a card show or some sort of item authenticated either by PSA or JSA. 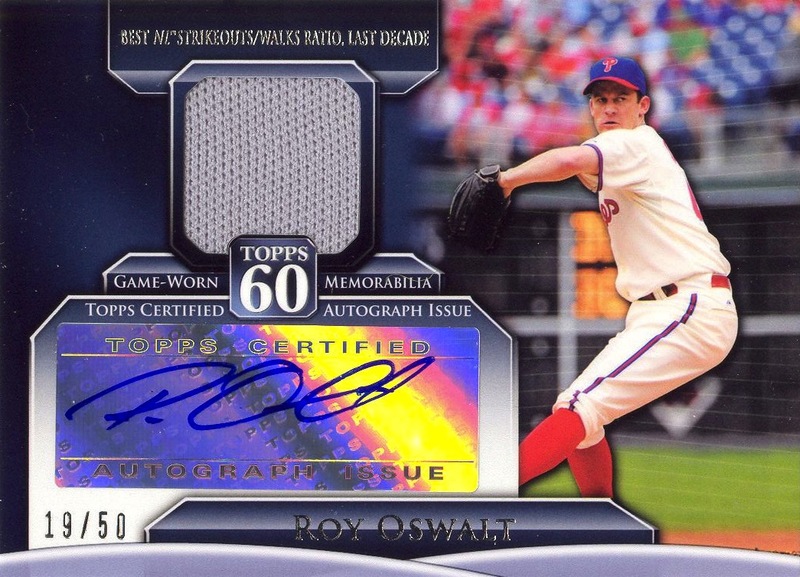 The news is only slightly better on the Roy Oswalt front. 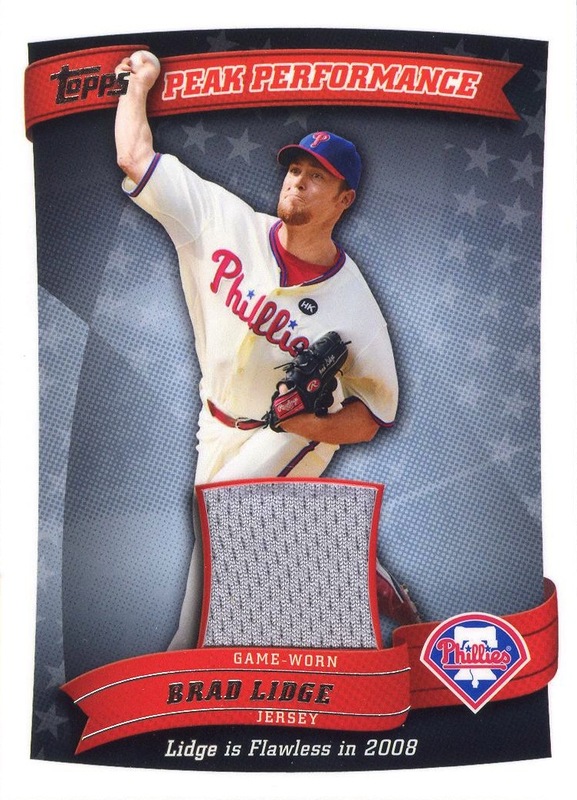 Amazingly, Topps did issue this year a certified autograph/jersey card depicting him as a Phillie, but as with the Lidge Peak Performance Relic, we don’t know whether that grey swatch came from an Astros or Phillies uniform (or whether it was worn in a Major League game, a Spring Training game, or just got worn by Oswalt and isn’t actually game-used). 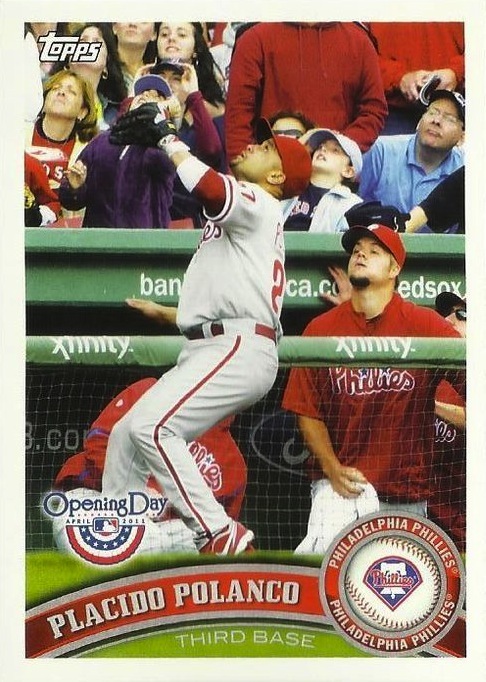 Interestingly, Topps produced only 50 of this card — the only certified autograph showing and denoting Oswalt as a Phillie. 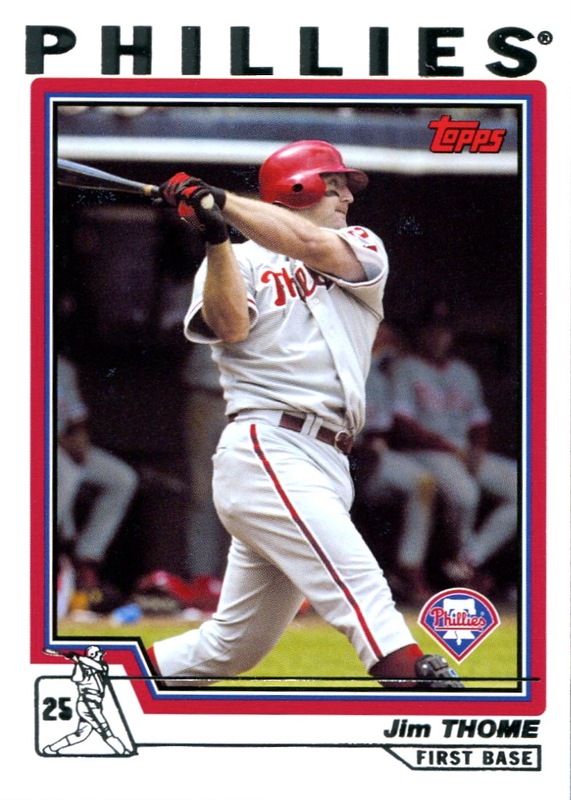 Thus, Oswalt might actually be the hardest autograph to obtain for those interesting in collecting at least one certified autograph baseball card of every Phillie to appear on one. 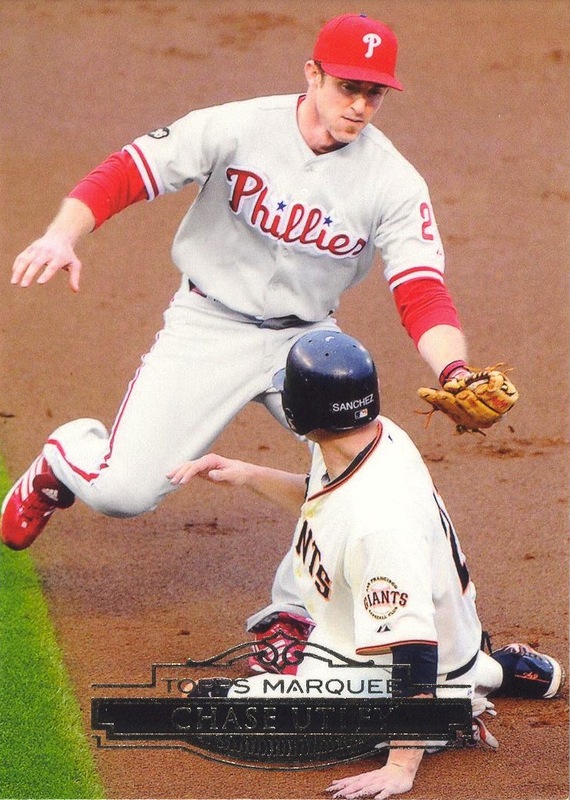 The thing that amuses me most about these two particular cards is the idea that they both actually contain swatches from both player’s days as an Astro. 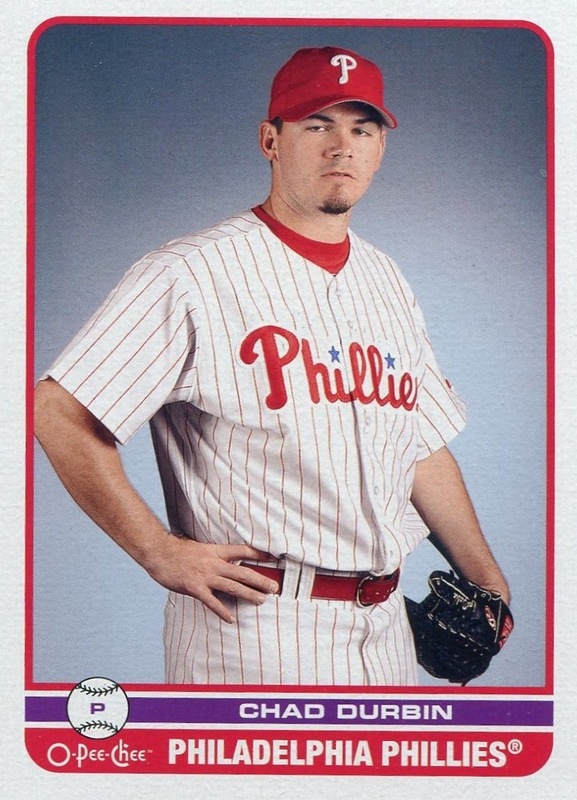 Given the way Topps handles these matters, it certainly isn’t out of the realm of possibility (and actually wouldn’t surprise me one bit). 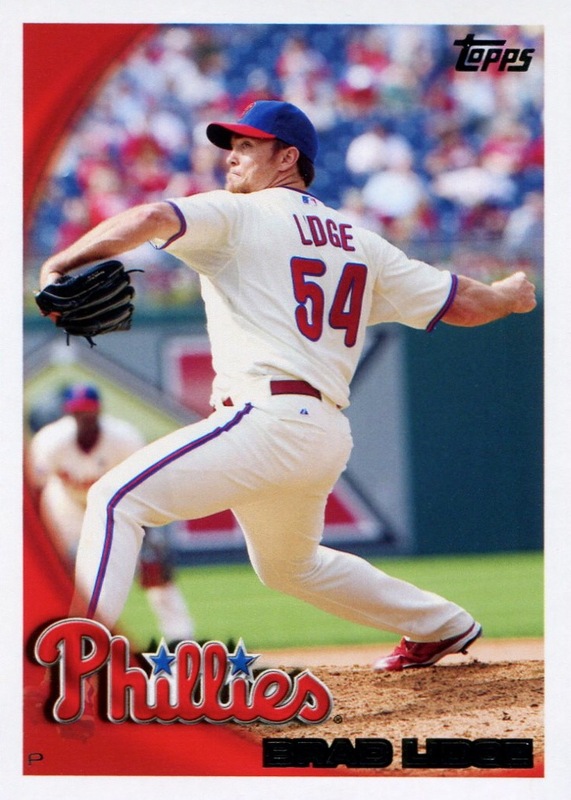 Nonetheless, they are nice cards — I just wish that Lidge had appeared on at least one autograph issue during his time with The Fightins.